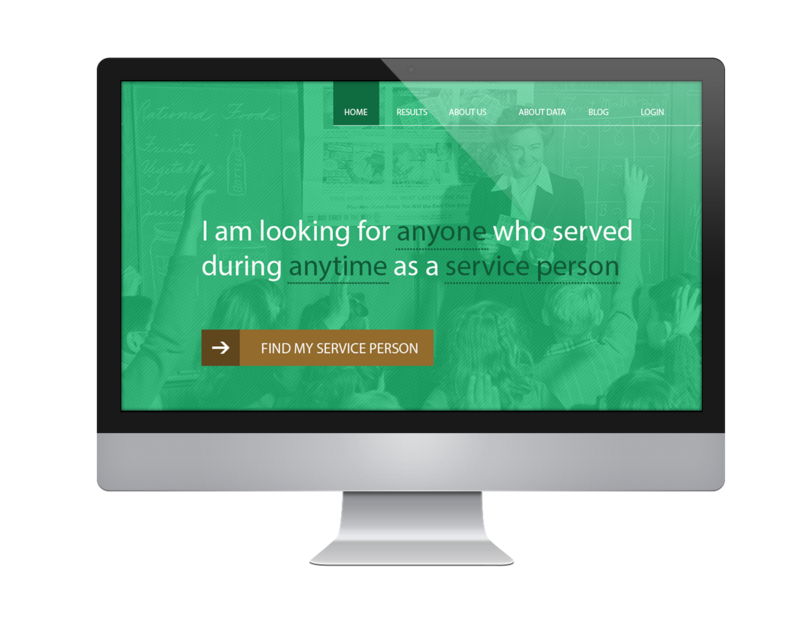 “Find my Service Person” was inspired by many peoples struggles to find extensive information about relatives who served throughout time to protect Australia. The idea came to mind after seeing many people use resources like the Herald Sun and online forums to try and identify long lost relatives and contact the families of other veterans to either find information or share history with. The goal of our project was to not only make this data more accessible to find, but easier to use for the general public and amateur and expert genealogists alike. This is achieved using an interactive genealogy map where family members and the public will be able to map out the units their relatives served in and with whom. From here they will be able to view a detailed Wikipedia style page that lists all known information about that particular veteran. This data will be pulled and aggregated from the Australian War Memorial website; by putting all this information in one place relatives will be able to view a very comprehensive history of their relative and view any relevant photographs associated with that veteran. We have used natural language searches and interactive genealogy maps to make searching and displaying data more interactive and user friendly to benefit the variety of users that access the Australian War Memorial website. From these searches and maps people can then take a deeper look into the lives of these veterans as we aggregate detailed biographies using information from the rolls of honour as well as other World War I rolls and pre-existing profiles building a detailed record of their time serving Australia, at home and overseas. “Find My Service Person” was developed to share the stories of the thousands of veterans that have served throughout time to protect Australia – the ultimate goal of the project is to allow the public and family members to access the vast array of data that the Australian War Memorial has to offer in one place, sorting data in various ways to help them find the information they need, quickly and easily.